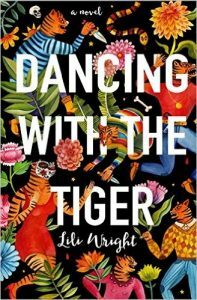 I had the opportunity to interview Lili Wright, the author of the popular novel Dancing with the Tiger. Here are some highlights. Do you write for others because you have to write or for yourself only? I write for myself and others. Writing makes me happy. It helps me use the things I see and experience, put them to good use. That said, you can’t just write for yourself. That’s a journal. Writing is a performance. You have to keep the reader in mind. Is this boring? Funny? Is there tension in this scene? Do I care about these characters? At the same time, caring too much what others think can be debilitating. So it’s a balancing act, like so many things in life. How many days do you actually write, and how rigid you are about that schedule? When I’m writing, I write every weekday morning until obligations force me to stop. I worked for years as a newspaper reporter so I am used to working whether or not I feel inspired. Every time you sit down, you get something. I tell my college students that writing is not English but math. Very slow addition. You have to put in the hours. While writing, what kind of relationship do you often form with your own writing self – a painful or a joyful one? It depends on the day, or even the moment. Much of the time, I think I’m not good at this and my story is weak and I can’t possibly figure out what these characters would say and who wants to read this story anyway and maybe I should just go swimming. But other times, moments, maybe even a whole morning, ideas come to me, phrases I like, or I make interesting connections, and I’m as happy as I can be. You have to endure the dreadful patches to tap into the good stuff. How do you recognize if you are on the wrong track? It’s hard to tell if something doesn’t work because it’s intrinsically a bad idea or whether, if you wrote it better, it would work. Sometimes I hold onto a bad idea too long before finally killing my darling. For instance, in “Dancing with the Tiger,” I originally had a sub plot of bank robbers in Indiana who finally had to go. It’s hard to admit you’re wrong, that you’ve wasted all that time. Are you affected by other people’s appraisal of your work? Have you ever been hurt by them? Of course, I’ve been hurt. Bad reviews sting. Rejection stings. Working writers are rejected all the time. There is always something more to want. Better sales. Better reviews. Better residencies. Better pay. But you (I) try to savor the positive, ignore the negative, and keep going. Easy to say. Hard to do. Do you lose yourself in your writing? The very fact that writing is a very lonely art, do you sometimes feel lonely? No, I don’t feel lonely. The reverse. My characters keep me company. When I finished “Dancing with the Tiger,” I missed hanging out in the world I had created. Lose myself in my writing? I have made myself cry and laugh, if that’s what you mean. Time flies. I often crave feedback—is this any good?—but it’s a lot to ask friends to read your early drafts. That’s why it’s such a luxury to be part of a writing community, like in grad school. What books are currently on your book stand? I just finished Elizabeth Strout’s new novel, “Anything is Possible,” and am now reading “The No. 1 Ladies Detective Agency,” a present from my husband. I wish I had a better command of Shakespeare. My husband and I picked up a Shakespeare quote card deck and were quizzing each other on a car ride. It was a riot. I’ve seen many Shakespeare plays over the years and read Hamlet and Macbeth and other works, but I have never sunk in deep enough to love Shakespeare and have a command of his work. Petrarch. Petrarch will be featured in my new novel. What is next for Lili Wright and what would be next for Lili Wright if the sky were the limit? 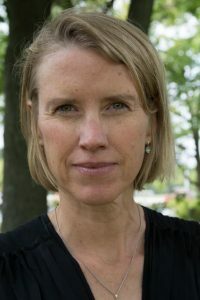 I’m taking next year off from teaching at DePauw University, where I have tenure, and will be living in Concord, Massachusetts. My new novel is set in Italy. It’s the story of an Italian man and an American woman who set out to rescue a missing girl and find God.